All I can say about this is... someone must be getting paid at USA Today to put out the press releases from this same guy. She was brought to Saipan, Fred was tortured and executed for being a spy, she was allowed to live in a cell on the island. She died of dystentery, her arm was recovered by US soldiers in 1944 (According to the soldiers themselves), her plane and briefcase were found - by US Marines. Her plane was guarded (and seen) by dozens of US Marine (I have filmed interviews with 6 of them) and her plane was reportedly destroyed by US forces and pushed into a pit on Aslito airfield. I have eyewitness testimony to each and every step of this path. It's beyond me that anyone pretends she was "lost" or "never found" - it's mansplaining at its finest, it's "they're islanders how could they be speaking the truth if they don't speak english?" mentality. However, like the rest of it - I can't let this one pass. They really should stop dishonoring her memory and what she actually sacrificed. Amelia Earhart, in her Lockheed Electra plane, sits surrounded by knee-deep water, marooned on the reef of Gardner Island with her seriously injured navigator, Fred Noonan. She waits for the tides to lessen before sending out yet another distress signal. It's July 2, 1937, just hours after Earhart’s plane disappeared over the Pacific Ocean on the most challenging leg of her flight around the globe — the 2,227 nautical mile trip from Lae, New Guinea to Howland Island. “Plane down on an uncharted island. Small, uninhabited,” she calls out, a signal, apparently only heard by Texas housewife Mabel Larremore who had stumbled upon the message from Earhart while scanning her home radio. Then, 12 hours of silence. For Richard Gillespie, executive director of The International Group for Historic Aircraft Recovery, this is a glimpse into how he believes Earhart’s last days with communication to civilization transpired — pieced together by analyzing a catalog of radio distress calls picked up by both area governmental agencies and witnesses in the immediate days after Earhart went missing. 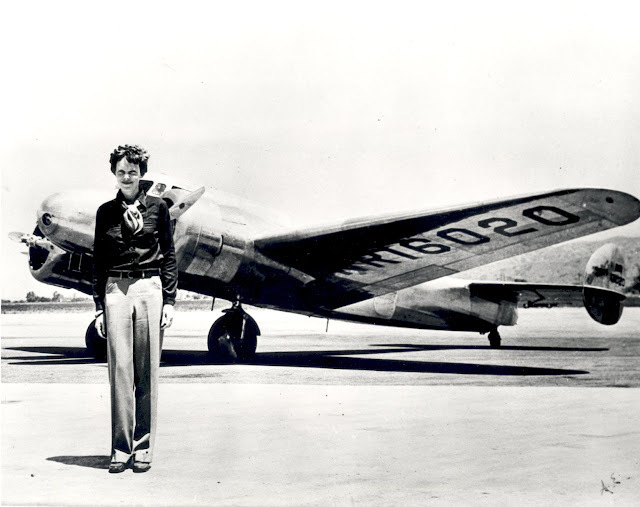 On Tuesday — what would be Earhart's 121st birthday — Gillespie is hoping to put an end to the question of what happened to the famed aviator by releasing a 30-page report that he believes verifies, and connects, these radio signals to her disappearance. 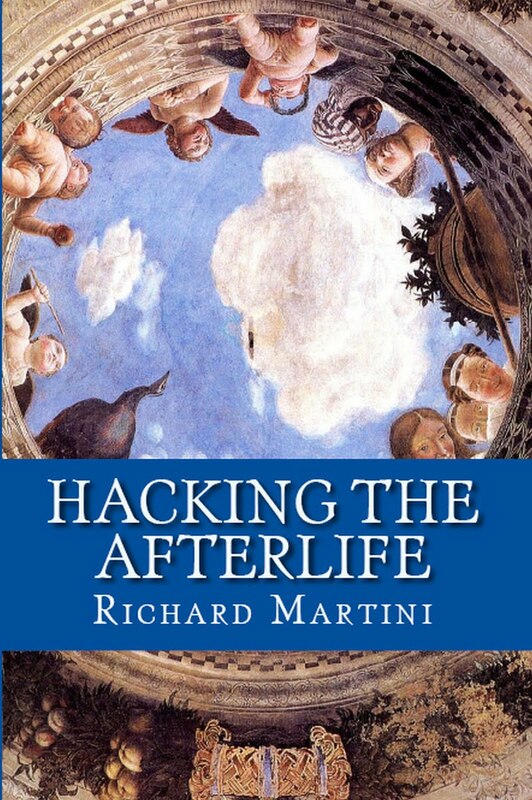 Gillespie originally compiled his catalog in 2011 with his senior researcher Bob Brandenburg, aiming to debunk the claim by government officials who at the time dismissed the radio signals as hoaxes after searchers failed to find any trace of Earhart or her plane. But, Gillespie said, it was still too complex. And year after year, theories continued to surface describing in detail the disappearance of Earhart, whose death 81 years ago has captivated a nation enthralled in a mystery that may never find true resolve. Gillespie says he hopes his report on Tuesday will help put an end to the theories. In the analysis of the more than 100 calls sent the week following Earhart's disappearance — 57 of which were determined credible by Gillespie — the distress signals paint an intimate portrait of life, and later death, for Earhart and Noonan while stranded in the Pacific. “These signals give us a glimpse into those last days before they’re really stuck [on Gardner Island],” Gillespie said. 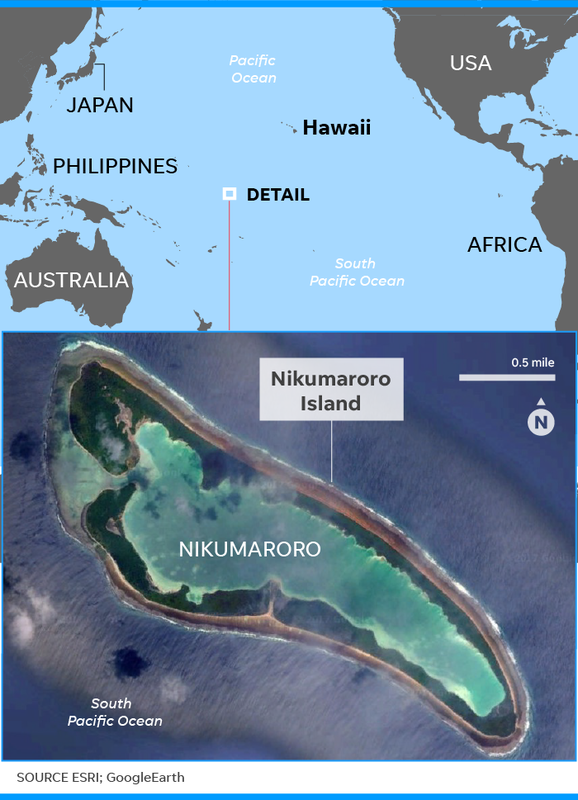 The research also bolsters a hypothesis made public earlier this year by forensic anthropologist Richard Jantz, of the University of Tennessee, that a collection of lost bones discovered on Gardner Island, now Nikumaroro, “likely” belong to Earhart. Contrary to the widely-held theory that Earhart crashed into Pacific Ocean, Gillespie's new report hypothesizes that Earhart and Noonan, low on fuel, landed on the reef of Gardner Island — 350 nautical miles south of Howland Island — as it was the only site substantial enough to act as a landing strip. From there, Earhart and Noonan sent radio signals to the nearby Itasca, the Coast Guard vessel responsible for monitoring Earhart's navigation during this leg of her flight, in an attempt to verify their location. And what Gillespie finds most credible about the radio signals made in the week following the disappearance is their alignment with the high and low tides. Earhart and Noonan could only send out distress calls when the plane's engine could run without fear of flooding — usually late at night and into the early morning, according to the report. Gillespie and Brandenburg tested this theory by using tidal levels and reef height data collected by his Niku V expedition team in 2007. The correlation, according to the report, was astounding — “night after night, the credible transmissions occurred only when the water level was low enough." Solidifying for Gillespie that Gardner Island is where Earhart and Noonan landed. But what is most telling, Gillespie says, is the depth to which private citizens knew about Earhart's radio signals, which were documented during her disappearance both in newspaper clippings and saved notebook transcriptions. Gillespie believes it to be the last credible transmission by Earhart. Earhart was a woman of firsts. She was the first woman to fly solo above 14,000 feet; to fly solo across the Atlantic Ocean; to earn the Distinguished Flying Cross — an honor awarded by Congress for her heroism and achievement in aerial flight; and she was the first woman to make the first solo, nonstop flight across the United States. But then, Earhart disappeared — written into history as a woman no longer famed for her skill and achievement as a female trailblazer in the field of aeronautics, but rather for her untimely fate, immortalized in one of America’s greatest mysteries. More: What if Amelia Earhart had turned around? She would become the first, and most likely last, person to ever know the complete truth of her final time on earth. In addition to the bones and radio distress signals, Gillespie and Jantz also believe that artifacts discovered on Gardner Island bolster their hypotheses, both noting a sextant box and shoe parts that were found in the 1940s alongside the bones. "I think you have to say that in all likelihood the bones belong to the person who is camping there, and that these artifacts belong to that person," Jantz said. "She had a navigator with her, Fred Noonan, and no remains of his have been found... but the sextant box is of American manufacture and is of the kind he was known to have carried." But the ultimate artifact to find? Earhart's Lockheed Electra. Many, like Tom Crouch, a curator of aviation at the Smithsonian, are satisfied in believing that Earhart and Noonan simply crashed into the ocean. "I don't think anybody has actually proven beyond the shadow of a doubt what happened to her," Crouch said. "It's a big ocean and they were shooting for a tiny, little target. I think they just went down at sea." Instead of focusing on her death, Crouch focuses on who she was when she was alive. Earhart is one of those 20th century women worth remembering and understanding what she stood for, he said, but also who she stood for. "What Amelia was saying, essentially, is that young women shouldn't limit themselves," Crouch said. "They have the capacity to do anything they wanted to do."